Don’t top-dress your bowls green. Mow more often not more closely. Provide your green with carbohydrates. Raise the blades to 5mm. pH watch; there is no need to try to tweak or change the pH of your green but it is good to know what it is so that you can determine the cause of problems such as slime on the bowls green turf surface. Poor growth, yellowing turf and excessive thatch are usually signs that your green is acidic. However, the antidote is simpler and more fundamental than you may think. Sarrell roll your bowls green frequently; regular sarrell roling is hugely beneficial to your green. It is non disruptive and allows the flow of moisture and oxygen into the surface. 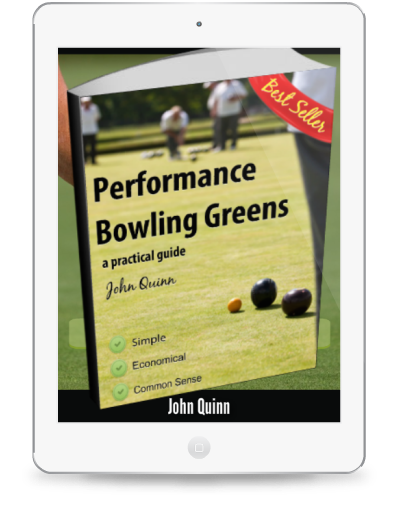 Do you make these 5 bowls green keeping errors?